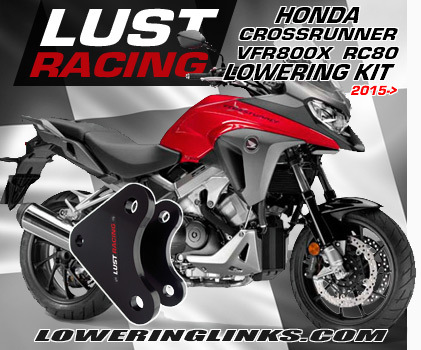 Honda NC750X lowering kit 2014 to 2018. Reduces the seat height by 1.2″ inches. Honda NC750X lowering kit with new suspension lowering links reducing the ride height by 30mm. Excellent modification for shorter riders who find the bike to tall to reach to the ground with both feet. By lowering the NC750X not only the seat height but also the point of gravity is lowered. The lowered bike becomes easier to maneuver and balance. When fitting the rear suspension lowering kit the front forks are also adjusted to keep the handling neutral. 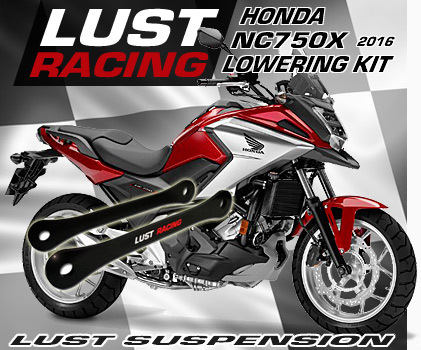 Our lowering kit is manufactured by Lust Racing, Europe’s leading manufacturer of high quality motorcycle lowering kits. These suspension links are made in special steel and will last the lifetime of your bike. 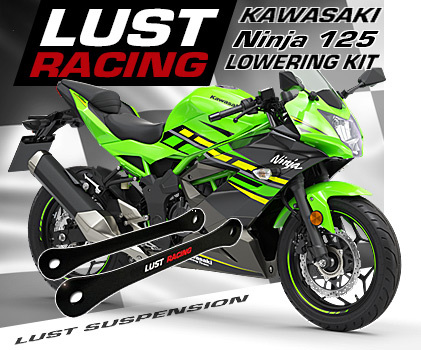 The lowering kit is manufactured to exact tolerances and finished in black powder coating for excellent corrosion resistance and an eye-pleasing finish. The kit is supplied with installation instructions. This kit will fit all Honda NC750X year models 2014, 2015, 2016, 2017 and 2018. 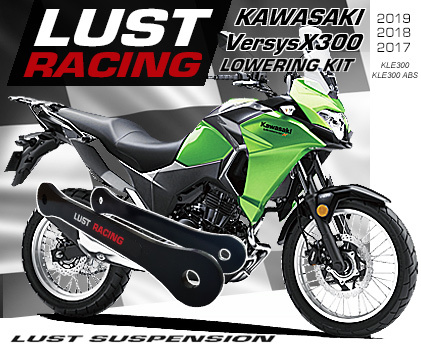 We keep all lowering kits in stock and dispatch your order without delay. All orders are sent with tracking code.